Warmer weather is on it’s way and so are our spring and summer party blogs! First up, this tropical Bow Wow Luau. 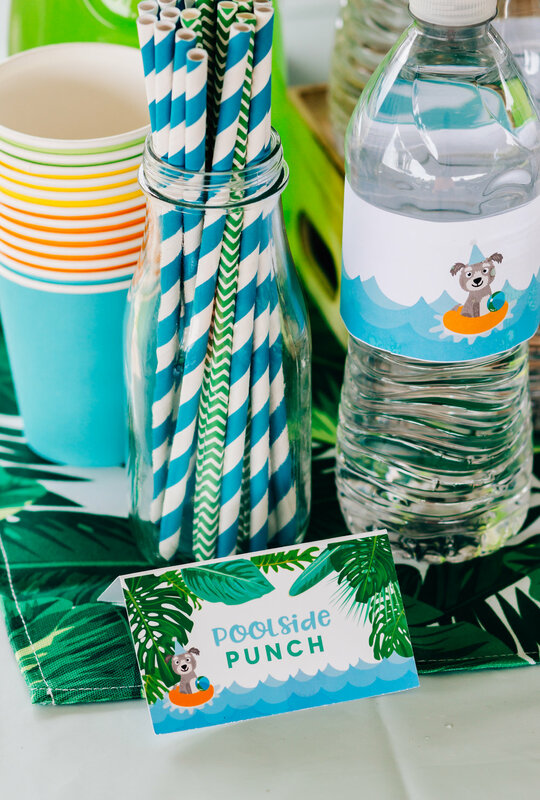 This puppy party is perfect for a summer pool party. Read through and grab some free printables and party ideas. We made all of the food outdoor entertaining friendly. Everything was finger foods and most of it was punny, because I love a good food pun LOL. We had pupcakes, frisbees, pupcorn, pawtato chips, and more. You can get these cards or have us customize them to your wording here. The green popcorn boxes were the perfect “dog house” to house our puppies. 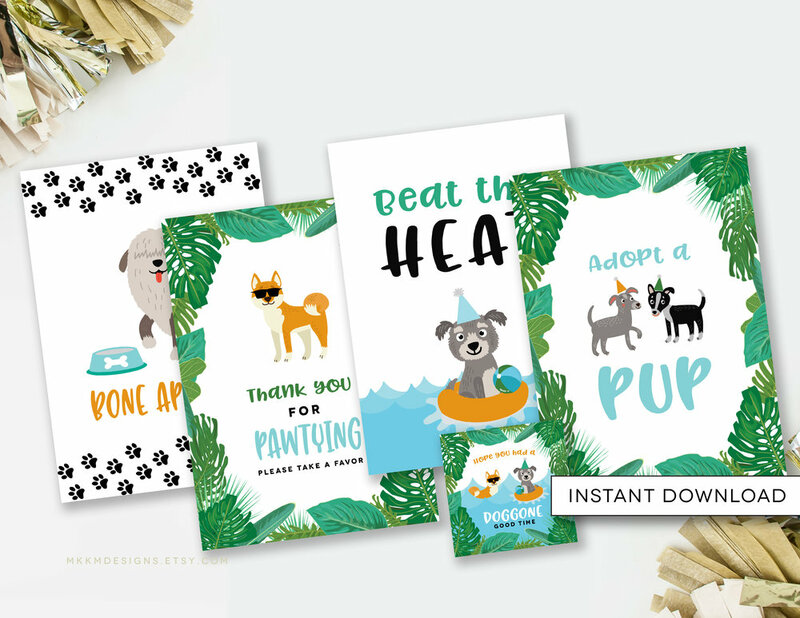 Grab the free printables for the Adopt a Pup station at the end of the post. Check out our other party themes here! 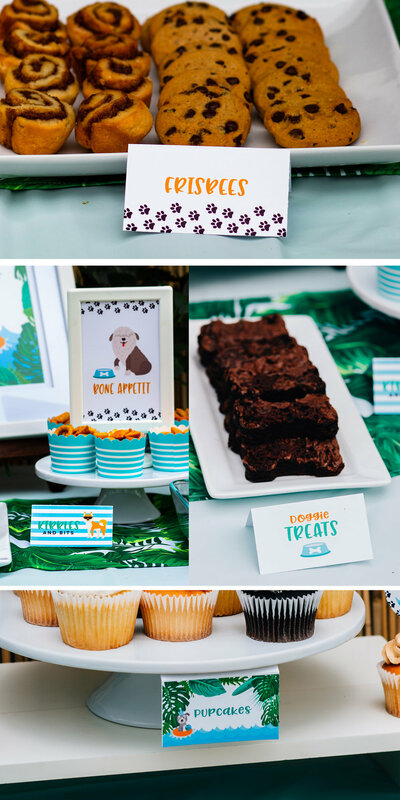 Grab the custom printables shown in the party here!